1) How some things have changed very little in 150 years. Not an original thought, I realize, but when I came across the passage where Twain wrote “The government of my country snubs honest simplicity but fondles artistic villainy…” I had to smile. That’s a sentence written in 1871, but could be just as easily relevant to how government treats so many things today (say, big banks vs. the small fry during the recession, for example). 2) There’s little doubt that Twain’s sense of humor and jaundiced eye would have fit right in and been just as relevant today. Heck, I can envision Twain enjoying something like The Daily Show (presuming, of course, he wasn’t already hosting it himself). “Roughing It” has also set me to thinking about my own writing or, rather, the lack thereof. I’ve been hard on myself, internally, regarding the lack of writing about the trip. Not because I feel I owe anything to the blog or the internet or anything, but mostly because I fret that the longer I wait to write, the more blurry my memories will become. This, despite the notes and draft posts and copious photographs I have stored in multiple locations. But actually writing about all of it seems such a big, overwhelming, ginormous project. I’ve been pushing myself to take the next logical step, to continue the travelogue from where I left off in Portland and write about the next stage, which took me on up into Washington. I want to write about that… eventually. Somehow, though, not right now. This is weird to me, because it’s not like I didn’t do interesting things there or have pictures to share yet, blergh, the desire to write about it just isn’t there. It all serves to make me feel extra-guilty that I wasn’t more proactive about writing and posting while I was traveling. 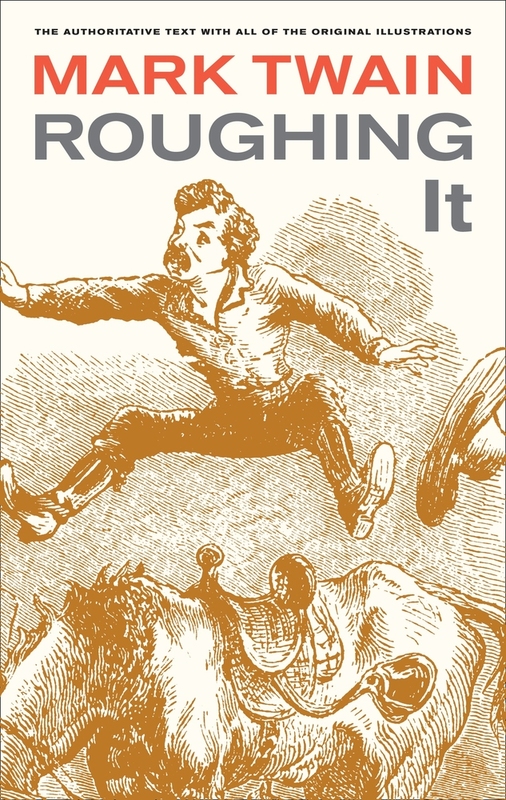 Reading “Roughing It” over the weekend, along with all the supplemental information in the UC Press edition (and it really is a bloody copious amount), it occurred to me that Twain hadn’t written about his travels while he was traveling either. Nor did he sit down upon his return and write the book, cover-to-cover; the book itself wouldn’t come out until many years later. In fact, many of the tales in “Roughing It” had been written and published as shorter pieces well before being put together into the finished book. “Roughing It” is episodic in nature, made up of a series of short chapters that, taken together, form a complete narrative but which, individually, can be extracted from that narrative and form their own story. This got me to thinking: why am I putting such pressure on myself to write about everything in chronological order? After all, I’ve finally started to look at the photos from the trip (evidently my posts about Dublin have proven to be at least somewhat cathartic indeed), and my gut reaction was to open the folder with pictures from… Fiji. Which is right in the middle of the trip. Any why not start there? I can always back-date the posts to their correct dates, and line them all up in order on the Travels page later on. If my inclination is to write about a particular place now, why not follow it? The cohesive narrative will form itself over time. As for memory, I have one very big advantage over Twain: I have thousands of photographs to jog my memory. Of course, he had an advantage over me: he was able to rely on the memories of his brother, Orion, who was on the trip with him. Actually, Twain has another advantage over me: he was ‘freaking Mark Twain. Lest you think I’m putting my own writing in the same rarefied air as his believe me, I do not. No, I’m no Mark Twain, and I’m not going to produce the next “Roughing It.” No reason I can’t emulate his style a little bit, though. It’s just a shame that I can only wonder what humorous comment he’d have about my doing so. I’ve done the same thing the whole time I’ve been reading! You made me want to read Roughing It! Do. Get the UC Press edition if you can. All the notes are really interesting. If you’ve read my latest post, I have been submerged in Doctor Who for the past few days and I can assure you that stories rarely start at the beginning and seldomly run in chronological order. And I still am fascinated by the stories. Can’t wait to see what you have for us.